This week there seem to be some profile views. I figure you are probably getting sick of looking at my face by now anyway! In this first one we are cleaning "The King" in preparation for spending a lot of time in there on vacation. While we were at it we gave "Doc" and Allen's car a good vacuum and shampoo, too. I showed Samuel how to buff out wax. And this was Monday when Kaitlin and I spent all day trying to perfect a scallop detail on her sewing project. We designed it ourselves so don't have an actual pattern to work with. It took some time but we had fun trying and I think she was happy with the results. And this is a picture that Allen snuck in while Elisabeth and I were weeding the gardens Tuesday morning. 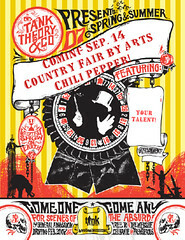 Don't forget to click the button below to learn all about the country fair coming to Art's Chili Pepper September 14th! 7 kids - you are soooo blessed of the Lord. What fun pictures! I wished I knew how to sew...my mom sews, but I never learned more than with a needle and thread to mend! Working without a pattern can be so liberating - but frustrating too!! great job on your project!! Looking forward to your country fair! I love the "real life" pictures that you took over the week! Very cool to see what goes on around your neck of the woods! Your pictures are so neat this week. In each one you are busy working and helping your children. You are a wonderful mom! Oh I love these so involved with the kids. Very cute. Hey there! Thanks a bunch for visiting "My Heart Speaks..." and not running away! I'm glad to see that you want to continue to hear the things that my heart sends to overflow from my mouth. I'm gonna stick around a bit and get to know you! You've been very busy. Thanks for the reminder that my minivan aka silver bullet needs a good cleaning before school starts. We would NEVER get tired of looking at your pretty face...but loved the profile one's just as much! That just reminds me that I need to fertilize our roses and weed our gardens as well. Lately with triple digit temps and smoke, no one has been in the mood to go outside. I love the randomness of your photos, really just getting on wih daily life, the things we forget. Looks like you have been busy having fun! This is a great idea. it seems I am not in the pictures often, as I am always the one taking them. Cool pics! You are far braver than I to post pics of yourself!!! Sorry it has been so long since I commented. I do love looking at your blog. PS Chris and I did have a lovely trip to Steamboat and the kids did great. I didn't participate this week since I am time-challenged - or just so unorganized I can't get to the things I want to do! But still dropping by to see what I missed :) What a full week you had with car detailing, sewing and gardening!.... have a great vacation! 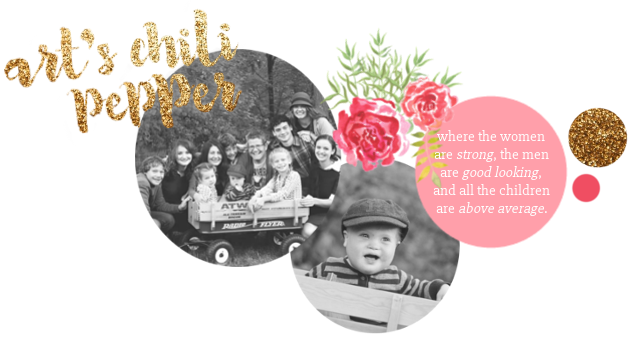 I like your new blog look and the pictures of you in action with the family. It's reality and you look so cute doing those mommy things.